If you would love to live in a modern condo that is located in a very friendly, green, and family-oriented neighbourhood, then you will absolutely love the new Ray Condos by Mondev. Centrally located in the heart of the charming Villeray district, Ray Condos consists of 30 brand-new studio, 1 and 2 bedroom condos with private indoor parking and a huge rooftop terrace for fourth floor units. These contemporary condos are affordable, highly desirable, and they may also be eligible for Montreal’s Access à la Propriété Grant Program. Conveniently located within walking distance to Parc Villeray, public transportation and many of the area’s most popular restaurants, boutiques and coffee shops, Ray Condos is the perfect place to call home. Living at Ray Condos also offers you a unique opportunity to become a part of the thriving urban community of Villeray. For those of you that are unfamiliar with this particular area of Montreal, Villeray is a charming and up-and-coming neighbourhood that is full of colour, comradery, and cultural vitality. It is a very friendly urban village with beautiful tree-lined streets, several neighbourhood parks and many large community gardens. There are also many thriving local businesses in Villeray including many delicious restaurants, specialty boutiques and an assortment of interesting bars and cafes. Stefan Jacob and Annie Clavette, the owners of the Schnitzel Truck, the Bacon Truck and the Burger Truck, run this warm and unpretentious gourmet fast food eatery. Open from breakfast to dinner, they serve up an array of mouth-watering and delicious dishes that are sure to please anyone in your group. Come hungry and try one of their creative daily specials or stick with their regular menu and feast on their Touski poutine, which is traditional poutine topped with chicken schnitzel, sausage, and braised cabbage, or their Montreal-famous burgers whose patties come from a local butcher. 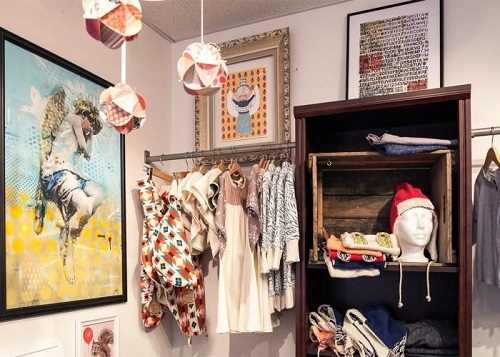 This one-of-a-kind boutique represents the essence of the Villeray neighbourhood in a nutshell. Selling only merchandise that is local and handmade, this warm, artisanal shop is run by the husband-and-wife team, Isabelle Kapsaskis and Mauro Bordet. This is an excellent place to find unique gifts from friends and family including exemplary jewelry, ceramics, clothing and crafts. This charming neighbourhood bar is a relatively recent addition to the Villeray neighbourhood, opening its door in September 2016. 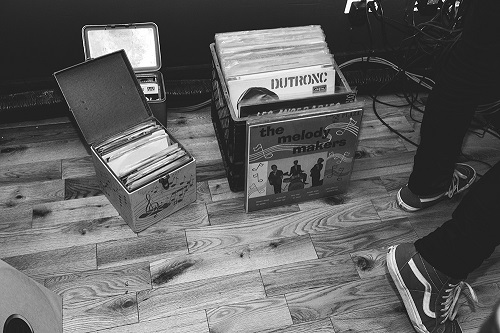 Featuring rock and soul music from the 50s and 60s played on one of the owner’s personal collection of over 2500 vinyls, Bar Le Record is a great place to unwind alone or with friends. Sample one of their signature cocktails or scotchs and relax as this is likely to become on of your new favourite neighbourhood haunts. Ray Condos is also conveniently located just a few blocks away from Fabre metro station as well as various bus lines. This is yet another added benefit of living at Ray Condos making it easy for residents to get to work, school or anywhere around Montreal. Ray Condos is also located close to the Autoroute 40, which takes you out to the West Island, and Avenue Papineau, a main thoroughfare to downtown Montreal.